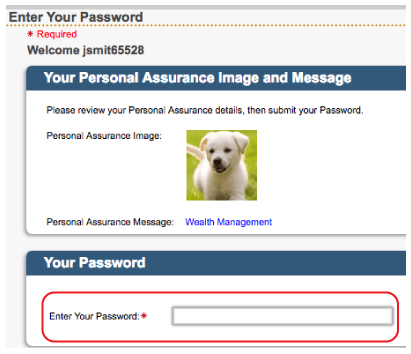 Select Forgot Password on the Login page as shown circled in red on image below. 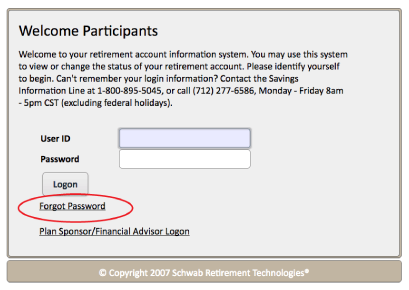 Enter Login Id as shown circled in red on image below. 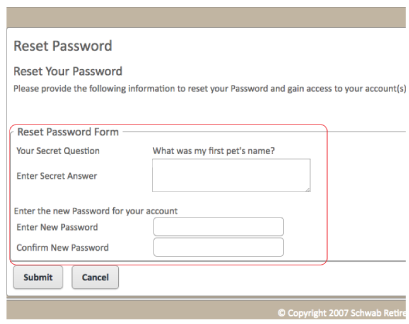 Enter Secret Answer and then Enter New Password as shown circled in red on image below. 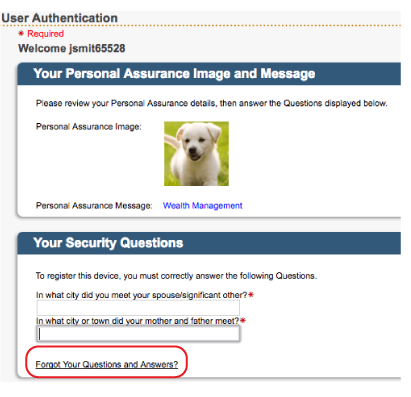 Select Forgot Your Questions and Answers as shown circled in red on image below. 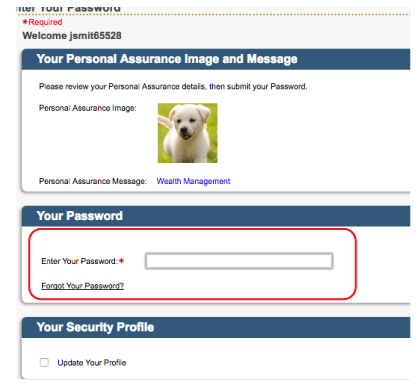 Enter Your Password as shown circled in red in image below. 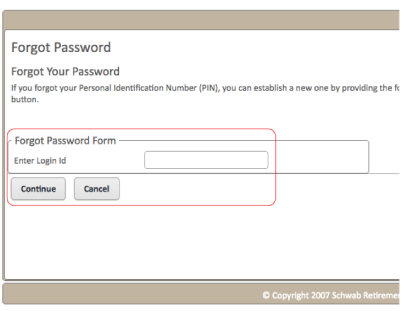 Enter the One Time Password that is sent to the registered email, as shown cirlced in red on image below.